If you are working through a divorce, choose Howard Goldstein and Associates to provide a realistic value of real estate to be divided. We realize that divorce can be very difficult. There are numerous decisions that have to be settled, including what's going to happen to the house. There are generally two choices when discussing the shared residence - it can be put on the market and the proceeds split, or one party can "buy out" the other. In either case, one or both parties would find it in their best interest to order an appraisal of the residence. A divorce appraisal should include a well-established, professional report that will hold up in court. When you order an appraisal from Howard Goldstein and Associates, you are assured the best in service with professional courtesy and well-supported conclusions. 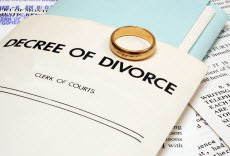 Working through the special challenges of a divorce situation is not a problem for us. Attorneys and accountants in California rely on our opinions when figuring out real property values for estates, divorces, or other disputes depending on a value opinion. We have an abundance of expertise working with everyone involved and are ready to assist with your needs. We provide appraisal reports for courts or various agencies that meet or exceed their requirements. For lawyers working with a divorce, your case's material facts customarily require an appraisal to establish market value for the residential real estate involved. Many times the divorce date differs from the date you purchased the appraisal. We're accustomed to the methods and what's requisite to develop a retrospective appraisal with an effective date and Market Value estimate matching the date of divorce. For each divorce appraisal we take on, we keep in mind that they need to be handled prudently. The Uniform Standards of Professional Appraisal Practice (USPAP) contains an ethics provision which means the highest amount of confidentiality, ensuring the utmost discretion.